Birthday’s deserve cake, and it’s nice to know this Toddler Friendly Birthday Cake not only passed the picky toddler test, it also passed the tired hungry mum test! Hurray! One mummy friend shouted out “Can you blog this one? Little man is loving it!”. This time two years ago I was swaying and vocalising my way through early labour. By 7:30 tomorrow morning I would’ve given birth to the most wonderful little bundle I have ever met. My gorgeous little Possum. What a proud mummy I am! 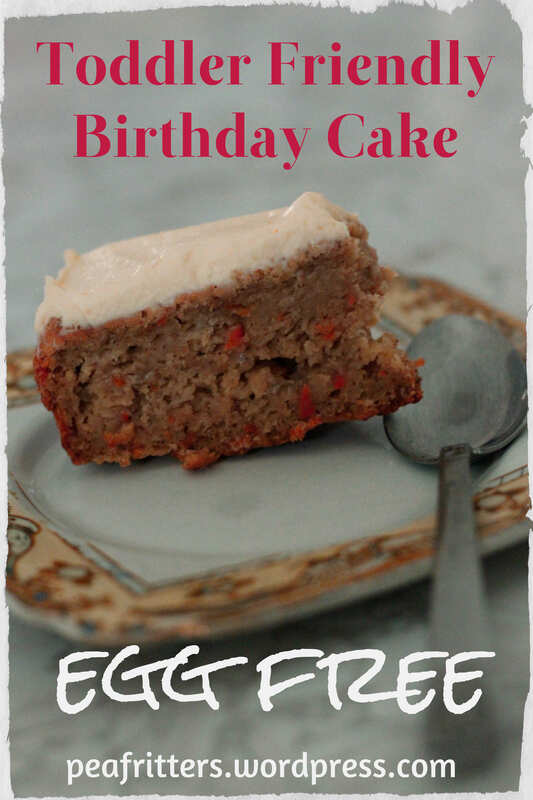 This birthday, Possum specifically requested an apple cake, so her birthday cake was a Toddler Friendly Apple and Carrot Cake with Cream Cheese Icing. Possum asked for there to be one red apple and one green apple in her cake, and I suggested a carrot (as she loves carrots) which she agreed whole heartedly. There was a decent meltdown over whether the gooey seeds (chia) would end up in the cake or in her belly, but a timely arrival of Grandpa and Grandma put all to rest *phew*. There’s some creamy buttermilk and just a touch of cinnamon to round off this moist yummy Toddler Friendly Birthday Cake. Of course this cake is egg free, as little Possum has an egg allergy. I think I’m getting the hang of this egg free baking now though! We had a little party for our Birthday Girl today at our local park. A handful of happy chatty friends, a bevy of proud family to play and eat and giggle with our precious Possum. I have to say it was a lot more fun than her first birthday and much less emotional. It was so wonderful watching her play with her little buddies, hiding in bushes, sharing the swings, giving cuddles and kisses. What a wonderful age this is. A big thankyou goes to my Mum who made the cream cheese icing at the last minute at my request. It really topped off this Toddler Friendly Birthday Cake! She recommends even adding a little lemon zest to give it some extra zing. 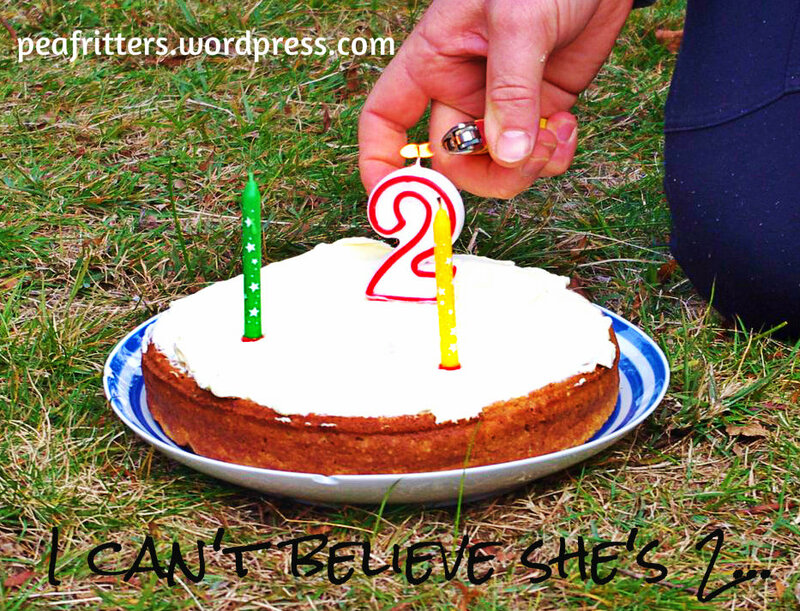 I hope you and your birthday toddler (or not so little person!) enjoy this cake as much as we did! 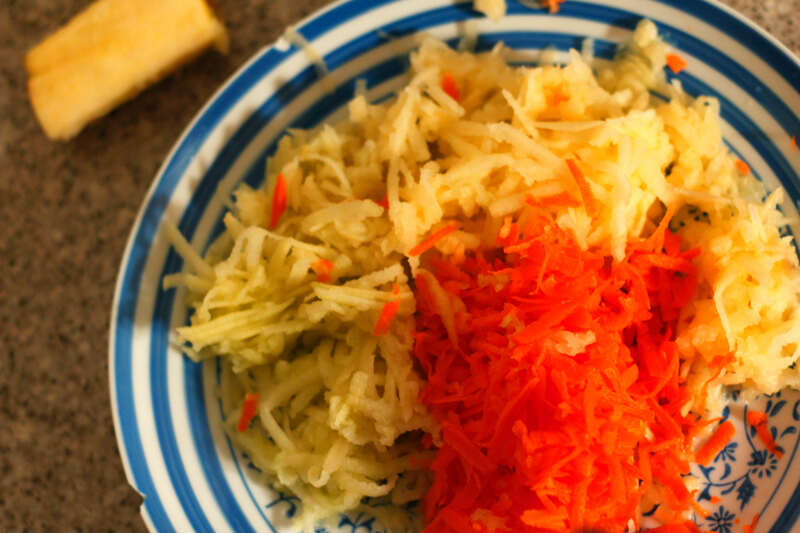 Add your grated apples and carrot, stir to combine. In a seperate bowl, beat together your brown sugar, buttermilk, vanilla and No Egg (or 1 whole egg if no allergies).Add to your flour/apple mix. Stir through chia seeds and melted butter until all just combined. Pour into your prepared baking tin and bake for 1 hour. To make the icing, use a spoon to briskly mix together your cream cheese, cream, sugar and vanilla to suit your taste. (I think my Mum didn’t use a whole block of cream cheese…). Once the cake has cooled, spread icing over cake. Place as many candles as needed/wanted, sing, horray, cut and be merry! i love that you had a home made cake that looks home made! Thank you!! I’m a home baker/cook/foodie/mum, certainly not a cake decorator!! And sometimes the not so pretty cakes taste heaps better!